SunBird is, without a doubt, one of the best communities in the Valley. 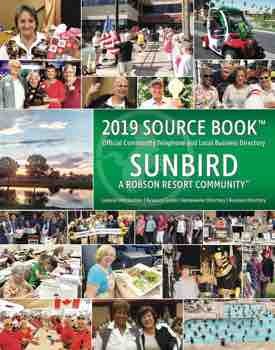 The Architectural Control Committee (ACC) appointed by the SunBird HOA has been created to help keep our community a desirable and attractive place to live. It also aids in the appreciation of our home values. With this in mind, please refer to the ACC guidelines (page three) when deciding to add decorative lawn art to an outside space in your yard. Lawn Art (Ornamental Displays), the ACC reserves the right to request homeowners to either remove or display the lawn are in an appropriate fashion to be appealing to the neighbors and entire community. If necessary, the ACC may request pictures, dimensions, locations and colors of all displayed lawn art. A rule of thumb pertaining to yard art is natural, purposeful, proportional, local and subtle. Lawn art in your front yard makes a big statement. It’s part of that all-important first impression on buyers and neighbors. It could entice them, or not. And in the backyard, on the balcony or porch, yard art is still worthy of staging, because backyards are where we live, and where you get another opportunity to woo house hunters and visitors with the charms of your home. Gardeners introducing too many pieces into their garden create too many distractions for the eye to absorb or enjoy. The garden becomes complicated and cluttered. Under the less is more principle, one well-suited piece will create a presence and a focal point, introducing harmony rather than chaos into the garden. Art looks best when it’s in proportion to the home. Real estate is all about location. Using indigenous material in a garden helps a house nestle into its surroundings. Garden art that’s local has integrity, and looks like it belongs. It doesn’t need to be placed front and center and often should not be. Instead, nestle it among the plantings; they do not distract from the overall composition; however, discovering such pieces as you stroll brings a wonderful element of surprise and magic to the garden.